Well, I had intended to write this on March 17 - but unfortunately I was home sick with a migraine all day and evening…and last night I took Maggie to the dentist and was pretty busy with her. And so, two days later, here's my final Irish review! And this is quite a special one. 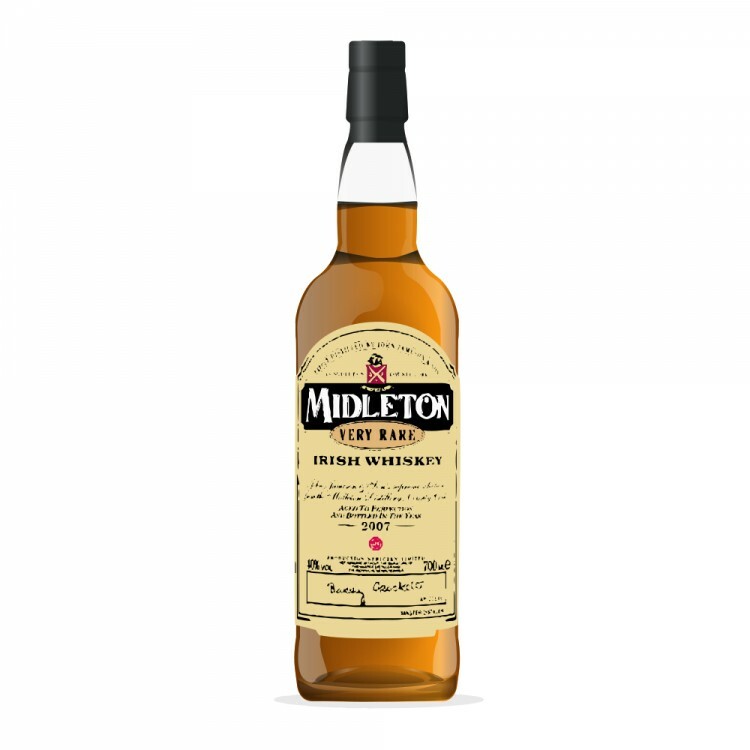 Midleton Very Rare is the only regularly issued bottling that is actually branded with this distillery's name (though there are some single-cask one-offs occasionally). This edition comes out annually (usually late in the year). It is a pot-still heavy blend of whiskies between 12 and 25 years old, matured in virgin oak; production is of the traditionally Irish triple-distilled, non-peated variety. It is a very limited annual release (though I'm not sure how many bottles are released). The packaging, with the wooden box, signed certificate, etc etc reflects its positioning as a premium product. Note that each annual release can be slightly different. This review is of the most recent 2013 edition. On the palate we have a lot of delicacy: light honey, gentle spices and the unmistakable pot still character of raspberries and dark chocolate. More oak - you know there are older whiskies in here. Sweet but also sharp around the edges. Water is kinder to the nose than the palate, but still - very fine. The finish brings out more spices (a little cayenne now) with lots of malt, as well as some bourbon notes. This is a fantastic whiskey, of classic Irish character, with great subtlety and complexity. I poured this for my office last week and everyone was blown away. Someone asked me how much the bottle costs, and I stupidly told them; then they all felt guilty (it ain't cheap). I told them not to be so damn silly - after all, whiskey tastes better when you share it. 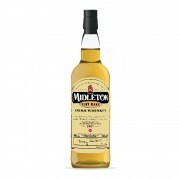 Right now I have five different whiskies from Midleton in front of me, to compare and contrast: Midleton Very Rare 2013, Tullamore Dew 10 Year Old, Redbreast 12 Year Old, Jameson and Jameson Rarest Vintage Reserve 2009. Despite the distillery looking like an enormous petrochemical plant, the delicate pot-still character is present in all the blends (as well as obviously the Redbreast), with varying degrees of complexity and richness. Very educational. Most of my whisky friends denounce Irish whiskey but I steadfastly disagree. Luckily, my girlfriend is a huge fan and so I have her to share it with!